How are you? And how has your 2016 been so far! Back in London following a break in Portugal, I have enjoyed a bit of a slow January – no doubt, with thanks to the Mercury Retrograde: 5th- 25th Jan. When Mercury goes into retrograde (3 times a year) it can cause us to reassess our thinking process or double question things, it slows down our technology and cause some big truths to rear its head and be faced. I find I go into hermit mode too, instead of needing to communicate outward, I am more suited to internal communication during the Mercury Retrograde. This gives us all perfect time to contemplate our New Year’s resolutions and goals. With that in mind have you tried my Goal Setting Guide – Print these out and get yourself on track for what you want to achieve this year! I have always found these to be a brilliant guide – getting me more aware of the direction I should be focusing my energy for the year ahead. This week, in the lead up to the Full Moon in Leo on Saturday night/early hours of Sunday 24th January, we may be feeling a bit of squeeze – time to get the pedals turning again and putting your goals into action. What direction are you being nudged in and are you willing to follow that path to see where it leads you? 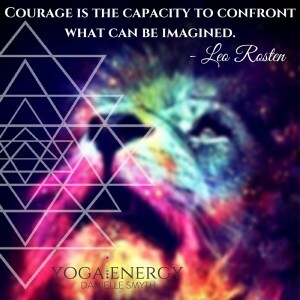 Draw upon the courage from this Leo Full Moon to chase your dreams. 2015 was the year of change, some for the good and some less so. This year ahead, 2016, is the year of completion. What cycles are you ready to complete so you become closer to leading a more authentic life? This Full Moon is filling us with the courage of a lion (Leo) and asking us to no longer feel afraid to stand out from the crowd. Mercury also stations direct (25th Jan) after the Full Moon prompting a boost in a forward direction. So get your shizil in order now so you can make the most of this surge in energy! Drawing on this energy, I have used the last few weeks to really analyse and reorganise how I face my goals. Last year certainly knocked me for six. So, I find the promise of a new year quite appealing and the Energy of the Leo Full Moon rather encouraging! As with all forms of goal setting and planning – I have learned there needs to be a level of flexibility built in there. Try to avoid being ridged in your views or expectations, sometimes opportunity comes knocking disguised as misfortune. So, as the Full Moon in Leo draws closer, I realise how much courage I do have after last year. I learned to really listen to myself and trust the processes of life’s flow. 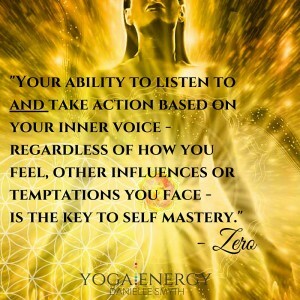 Hence, this year’s goal – take action on my inner guiding voice. 2016 is set to be a good year of completion. What gives you courage? And where does your courage lie? With all the growth and change that went on last year – you are now ready to take 2016 in your stride! Full Moon energy can be emotionally intense, particularly for the proud lion (Leo) who governs the heart and spine. Pride, Courage, Passion and determination are being pulled to the foreground for you with this Full Moon. Before you start your yoga practice, jot down a few notes about how you feel – the main emotions, thoughts and themes you are feelings and playing with. Have your goals/new year resolutions beside it to motivate your practice too! Let your practice become more than just physical. Allow the movements to evoke how you are feeling and to promote your goals and the energy you want to drive you forward. Remember: Yoga = Union. Union of your energy (thoughts, feelings and goals) expressed with the synchronicity of body and breath. Lions Breath: A personal favourite! Especially with Mercury in Retrograde (an internalising of our communication) use the Full Moon in Leo to clear any stagnant energy, communication blocks or fear that is preventing your courage from arising. Sit, kneel or squat with your hands on your knees, stretch your fingers out wide. Exhale loudly out of your mouth – as you do stick your tongue out and feel it stretch down to your chin. This is helping you clear your throat. Simultaneously, look up to your brow as you exhale. Repeat at least 5-7 times. This may feel funny and weird at first but after a few goes you actually feel the tension releasing and you can have fun with it! Sun Salutations: A perfect all-rounder to warm up your body and awaken the spine. Remember each movement is guided by your breath. Ideally done in the morning when the sun is rising as this is traditionally a practice to honour the sun (ruling Leo) which gives us energy. Twists: Any twisting pose is so beneficial for the health of your spine and your digestive system. Remember: when twisting to lengthen the spine, this draws oxygen into the spinal column and helps to lengthen your back muscles. Down Dog: Need a quick boost of energy? Try doing some down dog variations to wake up your back and legs. 5 mins of this gentle inversion and you have given your heart and brain a good rush of fresh blood and gotten your hamstrings stretched helping to counter balance sitting at a desk all day long. Camel Pose: Open your heart to the courage in you! 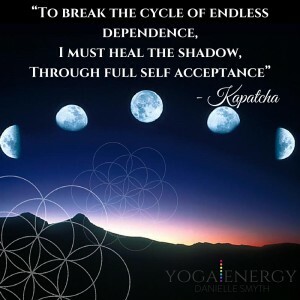 Let the energy of this Full Moon be released as you enjoy a wonderful stretch to open the chest and elongate the front of the body.